The VEGA 10 in. 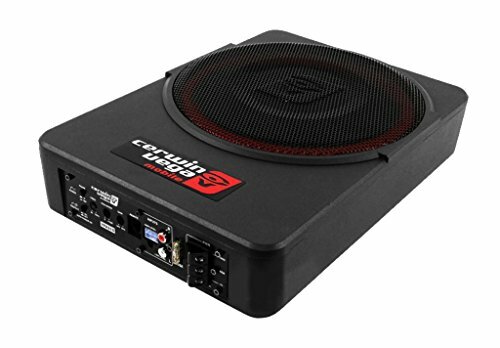 Powered Active Subwoofer Enclosure is the very first powered active subwoofer from Cerwin-Vega Mobile. It consists of an active 10-in. subwoofer that is amplified for extreme output. Encased in a solid cast-aluminum body frame for superior heat dissipation, the VPAS10 is compact enough for installation in the tightest of spaces without sacrificing performance. If you have any questions about this product by Cerwin-vega Mobile, contact us by completing and submitting the form below. If you are looking for a specif part number, please include it with your message.